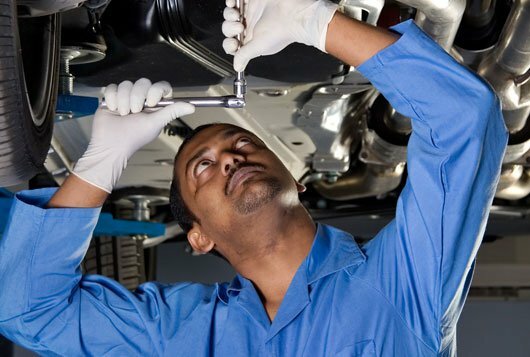 The transmission specialists at Capistrano Ford understand your vehicle inside and out. We can diagnose any transmission issues quickly and perform all necessary repairs using genuine OEM parts -all for a very competitive price. Is your car not going into gear easily or not shifting properly? It may be time to bring your car in to have its transmission serviced by the experts at Capistrano Ford. Our factory trained service technicians can diagnose any problems with your vehicle’s transmission and get you back on the road quickly. Whether you have a conventional automatic, CVT, dual clutch or manual transmission, we can provide service and repairs for your transmission. We provide maintenance services such as fluid and filter replacement, clutch service and differential fluid replacement. We also provide services for four-wheel drive and all-wheel drive vehicles, which may require additional maintenance to continue working properly. If your transmission is in need of replacement or a rebuild, our service team can help with that as well at Capistrano Ford. Questions About Your Transmission? Let Us Help!